This LED light module has a shiny color. 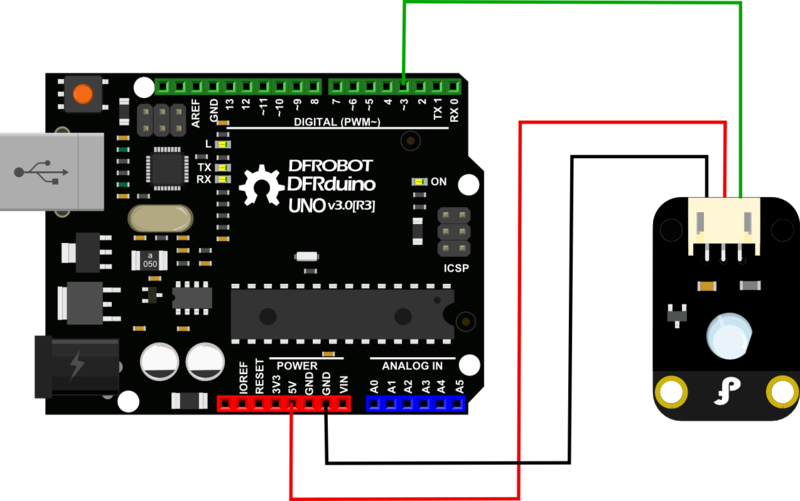 It is ideal for Arduino starter. This module can be easy to be plugged on IO/Sensor expansion shield. NOTE: This LED was wired to light up when the Signal pin is set to low before. The reason for this is to prevent the LED from demanding too much current from the microcontroller and damaging the I/O. But now, we have the Ver.2 with the same convenience in use and effectiveness in prevent,and the different that this LED is wired to light up when the Signal pin is set to high like general. 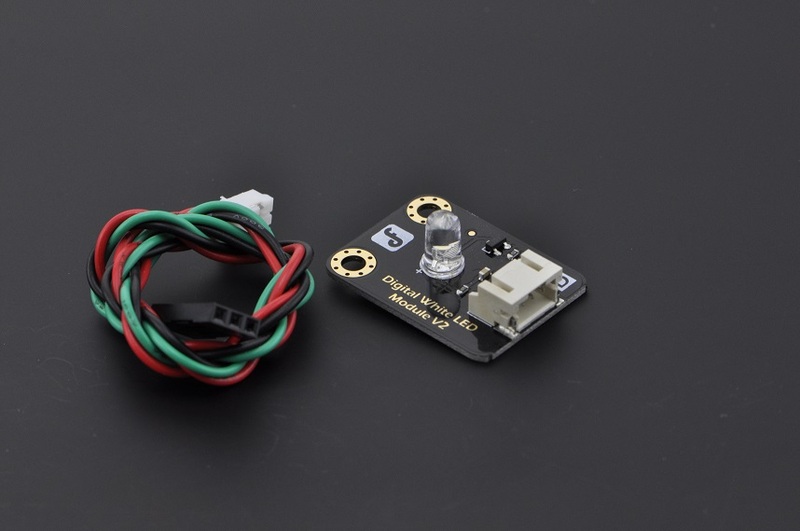 Get Digital White LED Light Module (SKU: DFR0021) from DFRobot Store or DFRobot Distributor.